A new record has been achieved in Germany with regards to energy transformation. In 2018, nearly 40% of the produced energy was from renewable sources, 17% of which was derived from wind energy. Thus, wind energy adds to the energy mix in about the same proportion as is to be anticipated under the wind conditions in Germany. This was established by scientists of the Max Planck Institute for Biogeochemistry, who did a comparative study of the wind turbines’ potential and the actually obtained energy output. Simply just seeing some wind parks can give cause for disbelief: Individual turbines are regularly at a standstill. This impression does not match with the notion that wind energy must be used intensively so as to meet the requirements of the energy transformation. It is against this context that researchers have been progressively questioning in the last few years whether the predicted contribution of wind energy to the energy mix may possibly be over-estimated. Sonja Germer and Axel Kleidon, who do research at the Max Planck Institute for Biogeochemistry in Jena, have established that wind turbines in Germany supply around 73% of the theoretically attainable energy. Based on our studies, the turbines largely make effective use of the wind and thus contribute to the success of the energy transformation. Axel Kleidon, Study Group Leader, Max Planck Institute for Biogeochemistry. 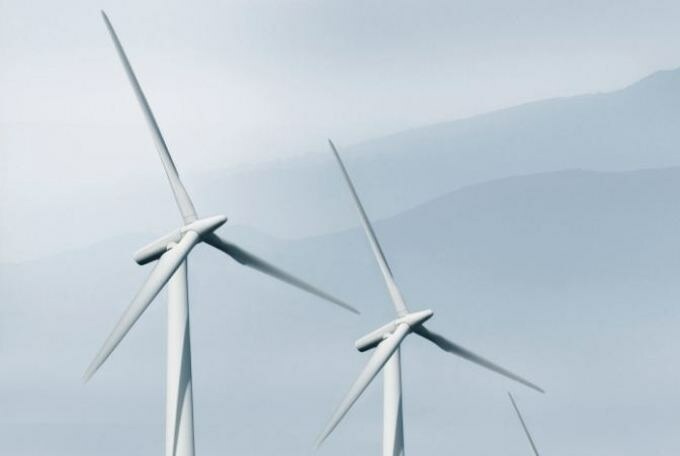 In their research, which spans the period from 2000 to 2014, the scientists collated data from the German Meteorological Service (DWD) concerning wind fields and information about the sites and technical properties of the wind turbines. They were able to establish the amount of power the turbines can preferably produce given the usual wind conditions. Therefore, the efficiency of wind turbines that is to be expected under perfect conditions, i.e. the ratio of actual power output to the ability of the generators to produce electrical power, is around 25% or roughly 2300 full load hours per year. “This expected efficiency seems comparatively low,” says Axel Kleidon. “However, it is the result of the uneven distribution of wind speeds.” About 50% of the time, winds in Germany are less than 20 km per hour, so that turbines during this time can just use 10% of their capacity or less. The scientists compared the expected electricity yield under these circumstances for about a quarter of the wind turbines for which data was obtainable with the actual power output. The scientists also scrutinized which factors decrease the power output actually produced by the wind turbines. According to this, the aging of the wind turbines lowered the yield in 2014 by nearly 7%. This is also because of the fact that the average age of wind turbines in Germany grew from 3.8 years to 10.8 years in the period from 2000 to 2014. Since turbines in wind parks are frequently placed in the wake of other turbines, the yield is cut by around 2%. However, the researchers also noticed a constant difference between the actual and ideal yields of up to 20% that they cannot clarify. The different contributions with which the researchers explain the inconsistency cannot, however, just be summed up as the link between the factors is non-linear. The variance between expected and actual yield was then used by the scientists to define the actual yield of all wind turbines in Germany. The generated yield has increased from 9.1 to 58.9 TW hours between 2000 and 2014. This matches a share of 1.6% of the electricity generation in Germany in 2000 and 9.1% in 2014. These numbers match superbly with the data that the Federal Minister of Economics and Energy has published concerning the performance of wind energy systems in Germany. In previous studies, the researchers calculated that as more turbines are set up in an area, the efficiency of wind turbines would fall. As a result of such intensive use, the wind speeds should decline, as every turbine removes a portion of the wind’s energy. “We expected that we should already be able to find such a trend in some regions of Germany,” says Axel Kleidon, group leader at the Max Planck Institute for Biogeochemistry in Jena. Therefore, for their new research, the scientists inspected the years 2000 to 2014 as it was a period during which the number of wind turbines in Germany increased from nearly 9,000 to over 25,000. Since the turbines during the same time frame visibly became better in capacity—for instance, the rotor diameter on average increased from 42 to 66 m—the average capacity expanded from 611 to 1453 kW. The installed capacity grew from 5.7 to 37.6 GW. “The difference between the expected and the actual power yield has remained relatively constant over the years,” says Sonja Germer, scientific researcher in the task group. The scientists did not find any decline in efficiency connected to the increased number of turbines. We probably don't use enough wind energy yet to be able to see the influence of reduced wind speeds clearly enough. Sonja Germer, Scientific Researcher, Max Planck Institute for Biogeochemistry.